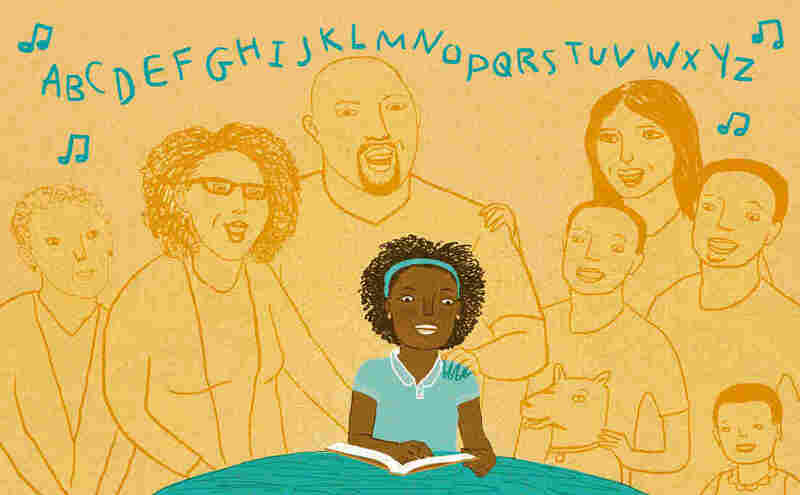 Q&A: Raising Kids Who Want To Read : NPR Ed Daniel Willingham's new book is full of advice for parents and teachers hoping to nurture a love of reading in kids. There's a big difference between teaching kids to read and teaching them to love reading. In his new book, Raising Kids Who Read, Daniel Willingham wants to be clear: There's a big difference between teaching kids to read and teaching them to love reading. And Willingham, a parent himself, doesn't champion reading for the obvious reasons — not because research suggests that kids who read for pleasure do better in school and in life. "The standard things you'll hear about why kids should read I actually don't think are very strong arguments," he says. "Because if the goal is to become a good citizen or the goal is to make a lot of money, I can think of more direct ways to reach those goals than to read during your leisure time." Willingham wants his kids to love reading because, he says, "for me it's a family value. It's something that I love, something that I find important. I think I gain experiences I wouldn't gain any other way by virtue of being a reader. And so naturally I want my children to experience that." 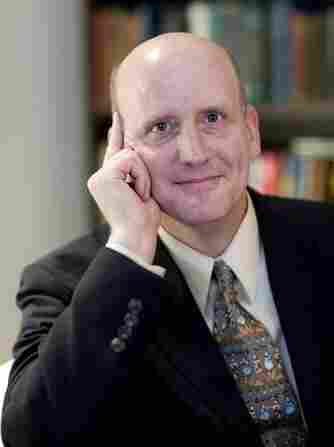 The professor of psychology at the University of Virginia uses his new book to map out strategies for parents and teachers hoping to kindle that same passion for reading. What are a few things we can do when kids are young to set them on a path to being passionate readers? Before preschool, probably the most important thing you can do is to play games that help your child hear speech sounds: rhyming games, reading aloud books that have a lot of rhyme in them and other types of wordplay, like alliteration. That's helpful. Once they get that basic idea, you can get a little fancier. And these are the games that kids really love — where you play around with speech sounds. If you had a child named Billy. You could say, "Daddy's name is Cory. What if we took the first sound in Billy's name, and my name is now Bory?" That kind of stuff is comic gold for kids. I talk with a lot of kindergarten teachers who say it's hard to get kids to stop doing stuff like that. Exactly. You know, Dr. Seuss is full of that. Nursery rhymes are full of that. And it's been known for a while that kids who grow up in homes where they are exposed to nursery rhymes learn to read more readily than other kids. But how do you foster a love of reading in young children? The most obvious is to be a model of someone who loves reading. One of the things I hit hard in this book is the idea of creating a sense in the child that this is what we value in our family. I think a lot of parents don't appreciate what a powerful message that can be for kids — like the things that are on your wall, the rules you set in your household, who parents talk about as the people they respect. You should model reading, make reading pleasurable, read aloud to your kid in situations that are warm and create positive associations. But also setting a tone where our family is one where we like to learn new things. We like to learn about the world, and a big part of that is reading. 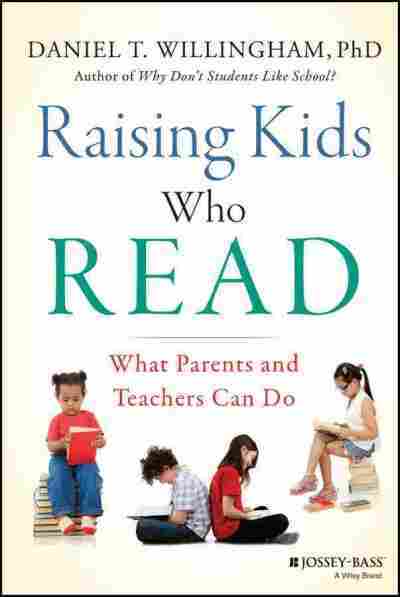 Developing a sense in the child that I am in a family of readers before the child can even read. The second big piece I would recommend is you have to make reading the most appealing thing a child can do. It's not enough that the child like reading. If they like reading but there's something else available that they like more, they're going to choose that. The easy way to start is to put books in places that your child would otherwise be bored. The most obvious one is in the car. Part of that is also making sure you're not providing other types of ready entertainment at every moment. My wife put a basket in our bathroom, full of kids magazines. My 6-year-old reads them voraciously, and now his 3-year-old brother copies him. My 9-year-old is a very passionate reader, and I think her younger sister is, too. But I think it's in no small part that she grew up watching her older sister do this. Do you think digital devices are a) keeping us from reading and b) keeping us from being able to focus? There's no evidence they're keeping us from being able to focus. If you look at the way psychologists typically measure span of attention, there's no evidence that it's really declined in the last 50 years or so. The brain is plastic, but I think attention is so central to so much of what we do that it seems pretty improbable to me that attention span could shrink significantly. If it did, either we would all get really stupid or lots of other cognitive processes would have to adjust in some way. I think there is something to what parents and teachers think they're seeing. They feel like kids are more distractible than they were 10 years ago, and they blame digital devices. What all these digital devices have in common is they provide instant entertainment. And the entertainment they provide requires very little effort from me. It's always available. There's pretty much endless variety. So the consequence may be that span of attention hasn't shrunk but rather what's changed is our attitudes and beliefs. And our attitudes and beliefs are, "Bored is not a normal state of affairs. I really should never be bored." What's your point of view when it comes to rewarding kids for reading? Rewards have the real potential to backfire. You communicate to your child, "This is not something I expect you to do on your own." You pay people to do things that you think are unpleasant and that they wouldn't do if you weren't paying them. So, by paying your child for reading, you're very clearly communicating to your child, "This is not something that I expect to be pleasurable for you." There is good empirical evidence that, when you pay people to do something, if you find the right reward they will do more of it. But once the reward stops, they will quite possibly do less of it. The reason being, they have a different attribution for why they were doing it in the first place. So the child who wasn't paid looks back and says, "I've been reading this book because I'm the kind of kid who likes books." But if, instead, the attribution is, "I was reading this book because Dad paid me," now, if Dad is no longer paying him, he has no reason to read this book. That said, my recommendation is that a reward not be the first thing you try. But, if it is the only way to get a kid to read, then I would certainly consider it.